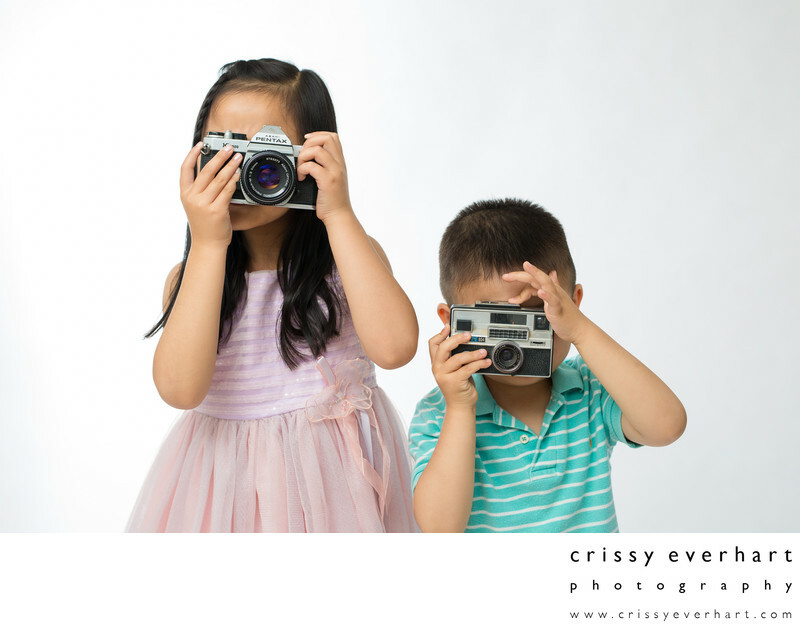 This brother and sister duo came in for a photo session and grabbed my vintage cameras off the album table. Without even asking, they put them up to their faces and pretended to take my picture! I love how the little boy's finger is poised, ready to press the shutter. This was one of the first photos taken in my Malvern studio and one of my favorite images! Location: 690 Sugartown Rd Malvern, PA 19355.